@#2 on my list of Bob Dylan’s top 200 songs. Its confrontational lyrics originated in an extended piece of verse Dylan wrote in June 1965, when he returned exhausted from a grueling tour of England. Dylan distilled this draft into four verses and a chorus. “Like a Rolling Stone” was recorded a few weeks later as part of the sessions for the forthcoming album Highway 61 Revisited. During a difficult two-day preproduction, Dylan struggled to find the essence of the song, which was demoed without success in 3/4 time. A breakthrough was made when it was tried in a rock music format, and rookie session musician Al Kooper improvised the organ riff for which the track is known. However, Columbia Records was unhappy with both the song’s length at over six minutes and its heavy electric sound, and was hesitant to release it. 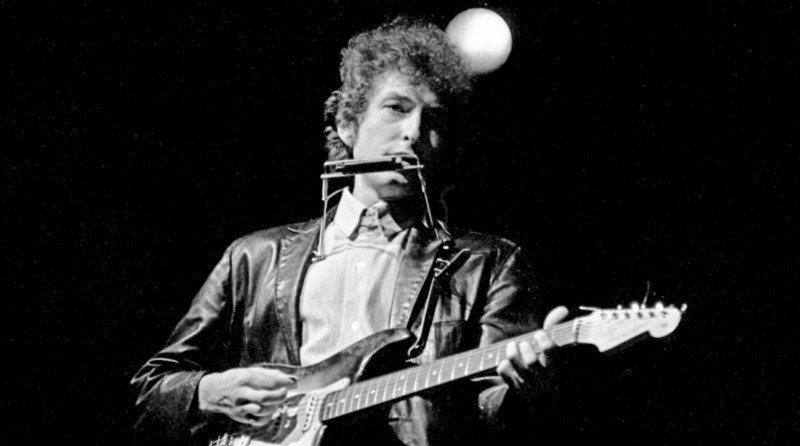 Critics have described the track as revolutionary in its combination of different musical elements, the youthful, cynical sound of Dylan’s voice, and the directness of the question “How does it feel?” “Like a Rolling Stone” completed the transformation of Dylan’s image from folk singer to rock star, and is considered one of the most influential compositions in postwar popular music. According to review aggregator Acclaimed Music, “Like a Rolling Stone” is the statistically most acclaimed song of all time. Rolling Stone magazine listed the song at No. 1 in their “500 Greatest Songs of All Time” list. The 1st Highway 61 Revisited session, produced by Tom Wilson. Take 4 released on THE BOOTLEG SERIES (RARE & UNRELEASED) 1961–1991, Volume 2, 26 March 1991. Take 5 released on CD 1 of BOB DYLAN – THE BOOTLEG SERIES VOL. 12 BOB DYLAN 1965-1966 THE BEST OF THE CUTTING EDGE, 6 November 2015. Take 1-5 released on CD 3 of BOB DYLAN – THE BOOTLEG SERIES VOL. 12 BOB DYLAN 1965-1966 THE CUTTING EDGE DELUXE EDITION, 6 November 2015. 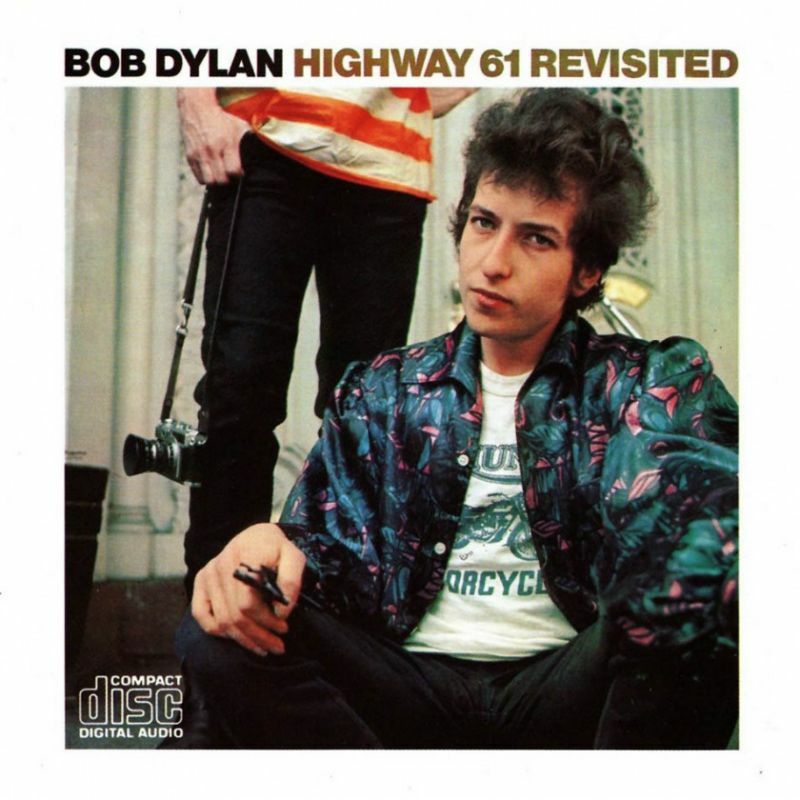 The 2nd Highway 61 Revisited session, produced by Tom Wilson. Take 5 released on HIGHWAY 61 REVISITED, CS–9189, 30 August 1965. Take 11 released on CD 1 of BOB DYLAN – THE BOOTLEG SERIES VOL. 12 BOB DYLAN 1965-1966 THE BEST OF THE CUTTING EDGE, 6 November 2015. Take 1-15 released on CD 4 of BOB DYLAN – THE BOOTLEG SERIES VOL. 12 BOB DYLAN 1965-1966 THE CUTTING EDGE – COLLECTOR’s EDITION, 6 November 2015. First known live performance: Festival Field, Newport, Rhode Island – 25 July 1965. Everything is changed now from before. Last spring I guess I was going to quit singing. I was very drained and the way things were going it was a very draggy situation – I mean, when you do Everybody Loves You For Your Black Eye and meanwhile the back of your head is caving in. Anyway, I was playing a lot of songs I didn’t want to play. I was singing words I didn’t really want to sing. I don’t mean words like “God” and “mother” and “president” and “suicide” and “meat cleaver”. I mean simple little words like “if” and “hope” and “you”. But Like A Rolling Stone changed it all; I didn’t care any more after that about writing books or poems or whatever. I mean it was something that I myself could dig. It’s very tiring having other people tell you how much they dig you if you yourself don’t dig you. It’s also very deadly entertainment-wise. Contrary to what some scary people think, I don’t play with a band now for any kind of propaganda-type or commercial-type reasons. It’s just that my songs are pictures and the band makes the sound of the pictures. Often regarded as the greatest rock single of all time, its magnitude and tension develops right through its six minutes. At first, the narrator seems vindictive, as if he enjoys watching an over-protected person forced out into a cruel world. Dylan had little sympathy with those who hadn’t fought easy comforts. Yet this and subsequent versions reveal a sad resignation that softens the tone of “I told you so.” One night, I got Dylan to talk about the song: “Why does everybody say of something like ‘Like a Rolling Stone,’ ‘that Dylan—is that all he can do, put down people?’ I’ve never put down anybody in a song, man. It’s their idea. ‘Like a Rolling Stone,’ man, was very vomitific in its structure. It seemed like twenty pages, but it was really six. “You’ll find out when you reach the top, you’re on the bottom,” he later wrote. Dylan had been famous, had been the center of attention, for a long time. But now the ante was being upped again. He’d become a pop star as well as a folk star (though the latter crown would soon be stripped from him, since the folk world doesn’t recognise dual citizenship), and was, even more than the Beatles, a public symbol of the vast cultural, political, generational changes taking place in the United States and Europe. He was perceived as, and in many ways functioned as, a leader. He was twenty-four years old. The pressure was enormous. I was living in Nashville when I first heard “Like A Rolling Stone”. By then, well, nothing he did surprised me. I just loved it: it was like an anthem. I didn’t want to hear the rumours of who was who and what was what. It just worked. I was there when he did Blonde On Blonde, and I was the only songwriter in Nashville allowed in the building – because I was the janitor! 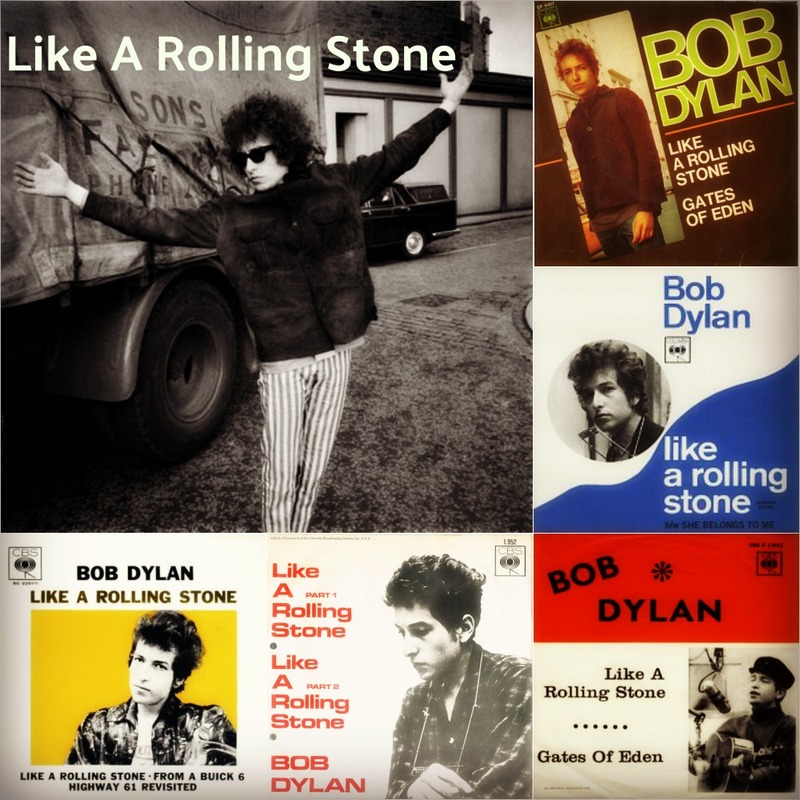 More closely controlled than many of Dylan’s most ambitious lyrics of the 1965-66 period, “Like A Rolling Stone” is a brilliantly caustic cameo of the fall into self-discovery rendered in four lengthy stanzas. Here, music and lyric are equally outstanding, going so well together that it’s hard to imagine them apart. Thunderous on the 1965-66 world tour, the performance cements the effect, riding the concept as if in a carnival-painted cadillac. One of the top 10 singles of all time. That sneer – it’s something to behold. Elvis had a sneer, of course. And the Rolling Stones had a sneer that, if you note the title of the song, Bob wasn’t unaware of. But Bob Dylan’s sneer on “Like a Rolling Stone” turns the wine to vinegar. It’s a black eye of a pop song. The verbal pugilism cracks open songwriting for a generation and leaves the listener on the canvas. “Rolling Stone” is the birth of an iconoclast that will give the rock era its greatest voice and vandal. This is Dylan as the Jeremiah of the heart. Having railed against the hypocrisies of the body politic, he starts to pick on enemies that are a little more familiar: the scene, high society, “pretty people” who think they’ve “got it made.” He hasn’t made it to his own hypocrisies – that would come later. But the “us” and “them” are not so clearly defined as earlier albums. Here he bares his teeth at the hipsters, the idea that you had a better value system if you were wearing the right pair of boots. One of the most self-righteous and eloquent indictments ever committed to wax, Like a Rolling Stone filters Bob Dylan¹s indignation for pseudo-bohemian sixties’ scenesters through his legendary wit. If Dylan’s first incarnation was as a protest singer, Like a Rolling Stone signals the era of Dylan as court jester/verbal assassin. l was 15 when this came out and to hear it over the radio, for the very first time ever, is one of those moments that, for the rest of my life, makes me grateful to have shared the planet with the man who wrote this. As far as I’m concerned, it’s the greatest single ever. lts effect in 1965 was cataclysmic. That rimshot from the drum kicking it off is just staggering. It signalled the revolution in lots and lots of ways. It’s a privilege to be on the same planet as the man who wrote that. The Live 1966 version is as powerful as any piece of music made in American history. I wanted to quit the music business, because I felt: If this wins and it does what it’s supposed to do, I don’t need to do anything else. The BEST video on youtube ?